Snugglebug University: Our Next Family Project....It's a BIG one! Our Next Family Project....It's a BIG one! The house is very quiet with both of my kids in school. It's a bit freeing though too. I feel like any project that I've completed in the last 7 years has required extreme focus, time management, and dedication mainly because I've had to work around my kids needs and schedules. Then suddenly the house is empty and silent. It's truly life-altering. I miss the constant noise that comes with children, but I also feel like I've been able to sit with a cup of tea and just think in a way that I haven't been able to for a really long time. There is beauty in that too. It's an adjustment. One of the really good things about this time though is the ability to get to some projects which have been on the back burner for a while. 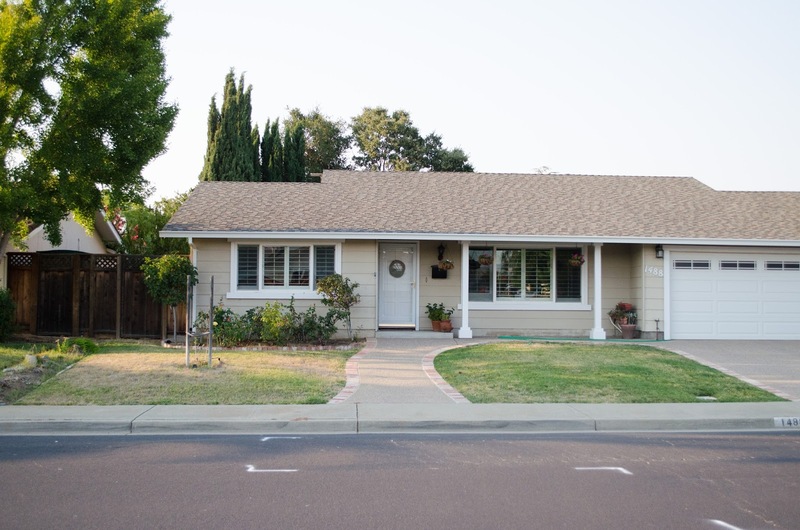 When we finished on our home addition last year, we knew that we'd eventually have to get around to landscaping our front yard but just felt too overwhelmed then to take on the project. Due to the many years of drought in California, we really need to conserve water. Our plan was always to get rid of the lawn in our front yard since our kids don't really play there (We live on a busy street). I think we're ready to take on the project, especially since we'll be able to utilize some rebates from the State to make it happen! 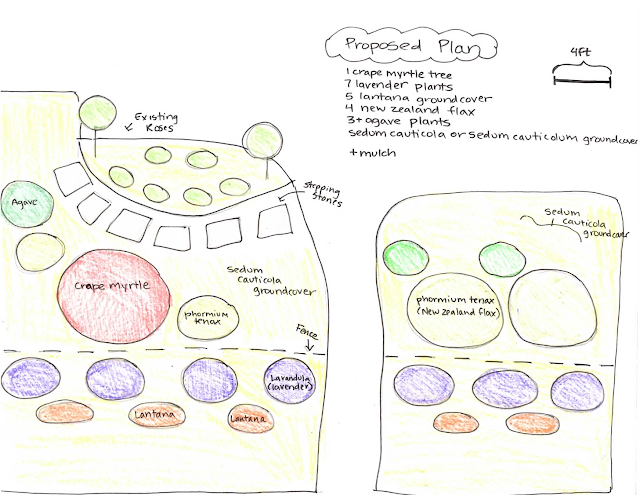 For a local rebate I had to draw up plans of our current landscape and how it was going to change. I've been pinning drought ideas on Pinterest like crazy! I was having a really hard time visualizing what it was going to look like though, which is when I found out about an app called iScape. I paid $1.99 for the items that I needed to draw up our plan...other items are free and others are more expensive. It was a lot of fun to drag and drop plants into my house's picture. It was so much easier to visualize! Note, I'm not being paid to endorse their app...just sharing my experiences). These two were my favorite scenarios...I'd love to hear what you think! Our first step will be killing our grass. Then we'll replace the existing sprinkler system with drip irrigation. Then we'll build our fence. 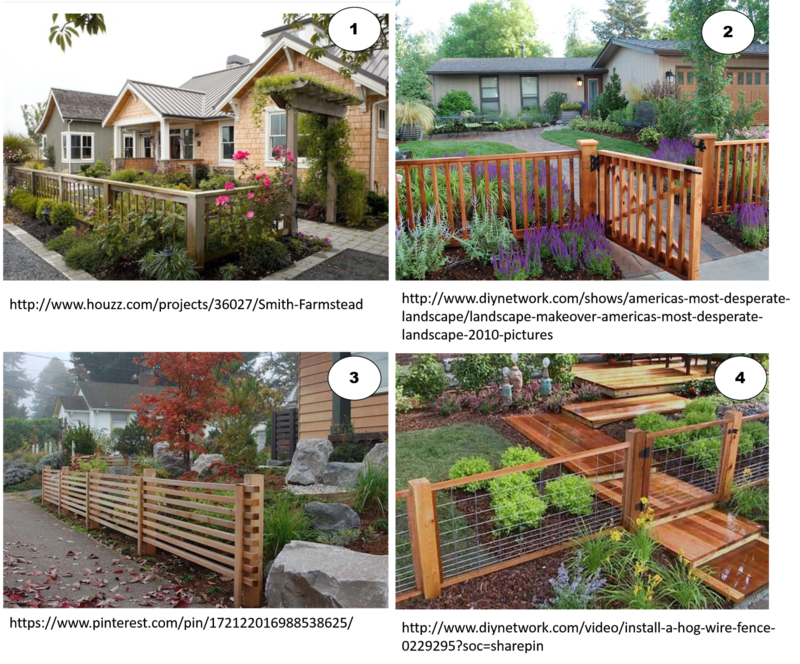 I can't seem to decide on what kind of fence I want though....sometime like one of the fences above, or something else...like one of these? What do you think? I'd love to hear! And when all the landscaping is finished, I'd love to add some shutters to the window on the left, and maybe paint the front door too. More decisions! Operation curb appeal has begun! Hope you all have a wonderful week! I'll be back her next week with TWO sewing tutorials! I wonder if iScape works for deleting landscape. My thumb is too green and I love too many plants. I am one of these "how the eye travels" kind of decorators. I like the simple, white, "petite" fence because the white from the fence draws your eye to the white porch pillars, windows, garage door, and front door (if you don't paint it). It is a smooth transition that leaves the eye open to the plants and other yard features without a bulky break up. Your home is "petite", one story, so the fence does not over-power it. I feel a bigger, bulkier fence or darker color of fence would become the focus instead of the landscape, and a fence with a more country or farm look would kind of stick out like a sore thumb. I guess it depends on what you want the fence to function as, a backdrop to accent the landscape (white), a focal point (big, bulky, dark wood), or a statement piece (a wood and wire, a farm style). Then there is the maintenance, how it looks when it ages, and does it weather well. Just a few thoughts from Port Huron, Michigan. 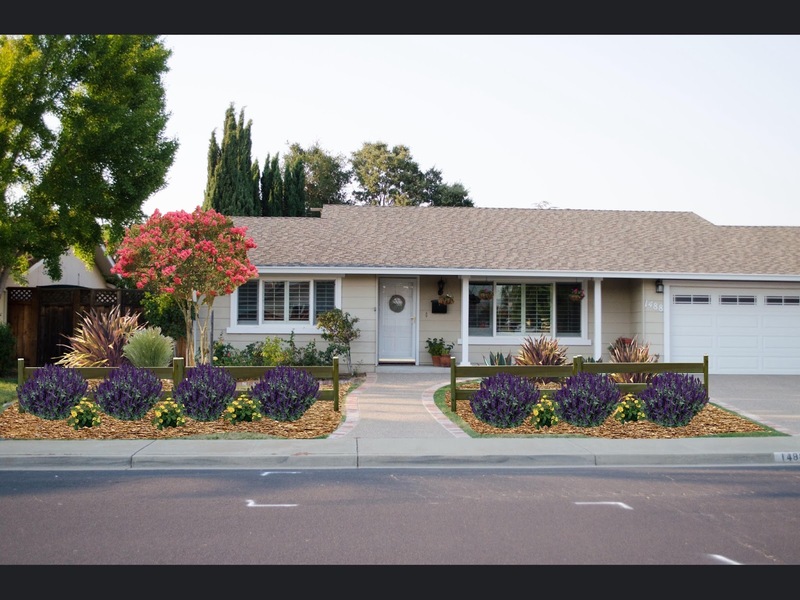 I really like the 2nd landscaping idea with the yellow flowers between your lavender plants and I also like the 2nd fence. Beautiful!! I like the simple horizontal 2 row fence in your second picture. Let's the house and plants be the focus. Fence #1 is my favourite. You can stain it any colour, doesn't have to be brown. I've admired one like that in real life. Your landscaping plans sound wonderful!